I love this look. 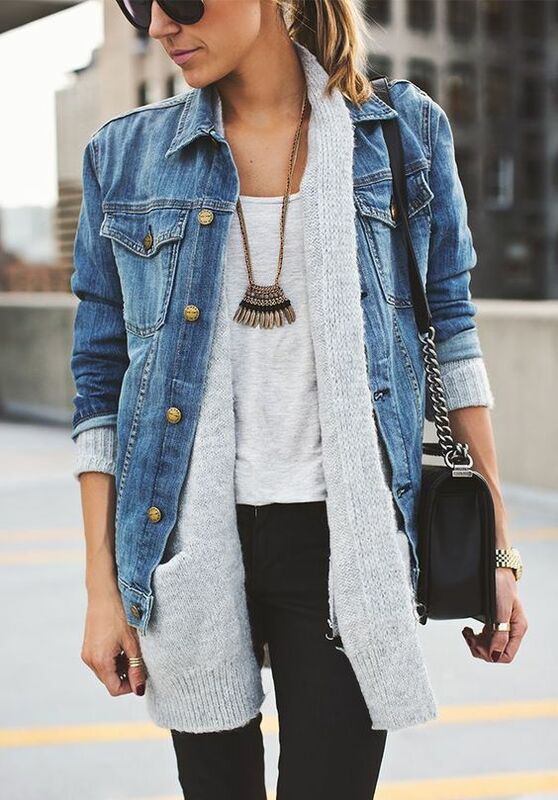 Layering is the best thing when it comes to winter. The trick with super stylish layering is to play with textures and use colours that work together. Reworking items and styling them to suit different occasions is our best bet. Slipping a long sleeved tee underneath a floral midi dress will make it wearable in the winter months, just as a silk shirt layered beneath an LBD has the potential to make it day time appropriate. 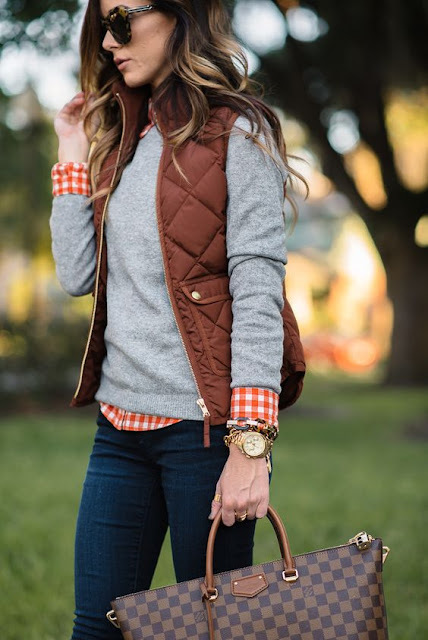 Textures are important when it comes to layering. Contrasting fabrics bring out different dimensions in one other. Pair a velvet or satin top with a piece of knitwear, it will automatically grant it a more casual edge. To similar effect, try a ribbed knit under a crisp, open shirt. A tunic-style shirt underneath a thin cashmere jumper, topped with a cropped jacket is a sure winner. Try having snippets of the different fabrics peeping through. Why not also try a more drastic contrast and wear a long-line cardigan underneath a leather jacket? Bursts of different colours make for an exciting outfit, but so too do different shades. 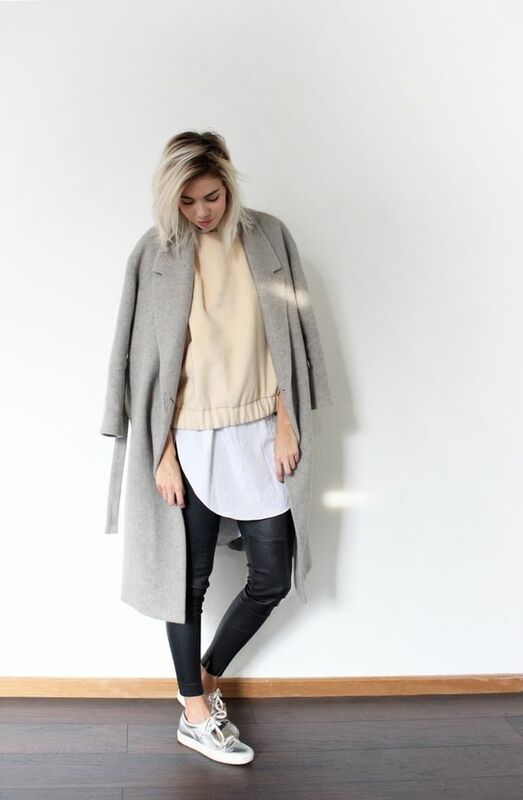 Try layering different hues of cream, camel or grey; a trick favoured by the street style stars. That’s not to say this technique requires neutral colours to be effective. Experiment with different tones of blue for a look that’s cool and understated. A final touch? A necklace, whether it is an intricate chain or a statement neckpiece it adds that bling layer that every look can use. Still feeling unsure on how to layer your outfits for winter. Scroll below for street style inspiration to have to layering like a pro! 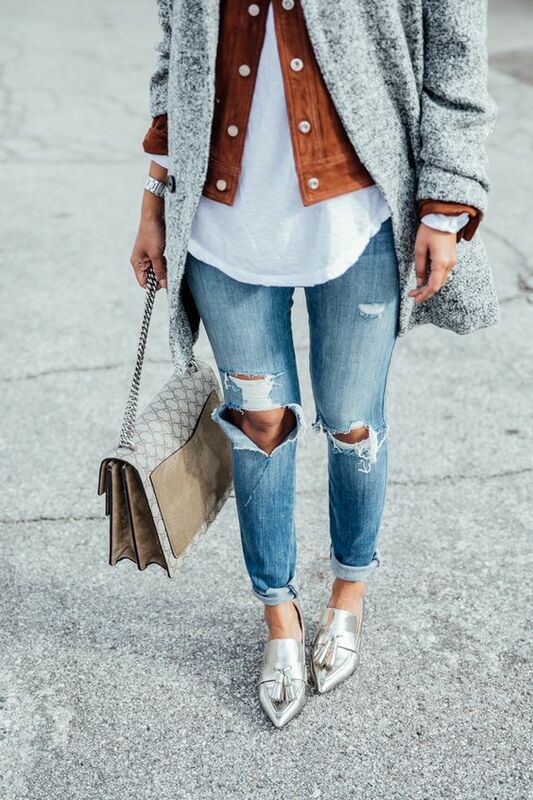 Are you a fan of the layered look? do you layer? have any tips for us?